Prepare Yourself For The Biggest Draws Of The Year! It's that time of year again, the season of fighting through Christmas crowds, gorging on meats and sweets and enduring the yearly dose of the extended family. It's also the time of year when the world's biggest lottery jackpots are drawn. Scroll down to reveal the biggest annual lottery jackpots, and how to play them here at Lottoland! Giant annual lotteries come in all shapes and sizes, but one thing is for sure – they offer insane jackpot prizes. 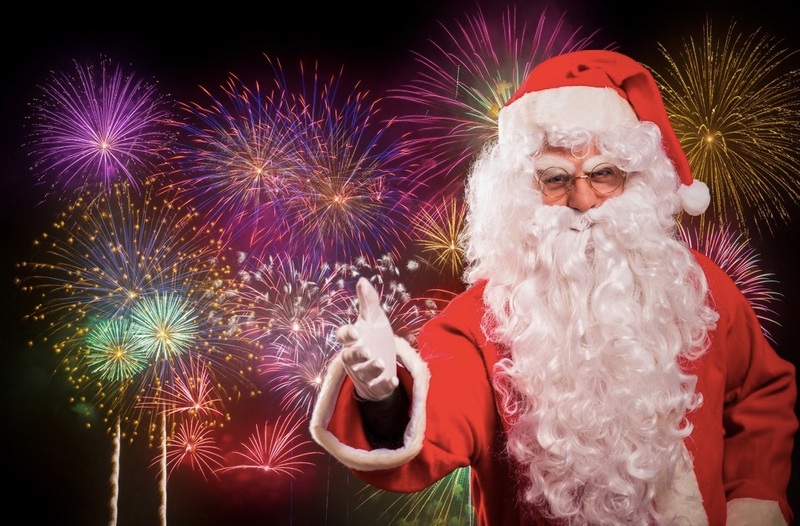 Some of these colossal lotteries only take place once a year, like the record-breaking Spanish Christmas Lottery, others are special one off draws, provided by your favourite weekly lotto. Of course, here at Lottoland you can enjoy them all. Once a year, just a few nights before Christmas, Spain comes together in anticipation to watch the famous El Gordo draw. 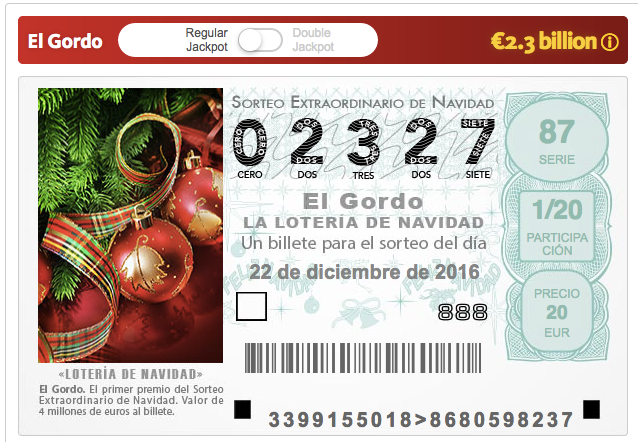 With a prize pool of over €2.3 billion, the Spanish Christmas Lottery spreads wealth amongst hundreds of Spanish people every year. 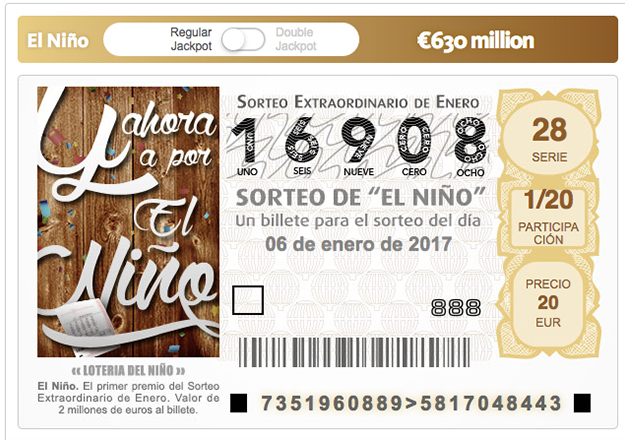 Unlike traditional lottery draws, which generally pay the largest prize to one lucky winner, the El Gordo prize is designed to go to numerous ticket holders, meaning dozens, if not hundreds, of players can become millionaires. To discover more details on this Spanish institution, check out our history of El Gordo, and look at our betting guide to find out how you can bet and win your share of the €2.3 billion jackpot! Miss out on the El Gordo jackpot? Have no fear, the El Niño jackpot offers you another chance at a big money prize. The draw happens on January 6th, the Epiphany, or Little Christmas as we more commonly call it, so you if El Gordo is the BIG Christmas lottery in Spain, then El Niño is the Little Christmas lottery - you can almost say it's El Gordo's baby brother. While the jackpot pool is "only" €630 million, the draw is very similar in format to its older brother's – meaning there are plenty of prizes to be won. Want to finish 2017 with a bang? Forget fireworks, Mega 2018 is the lottery for you. 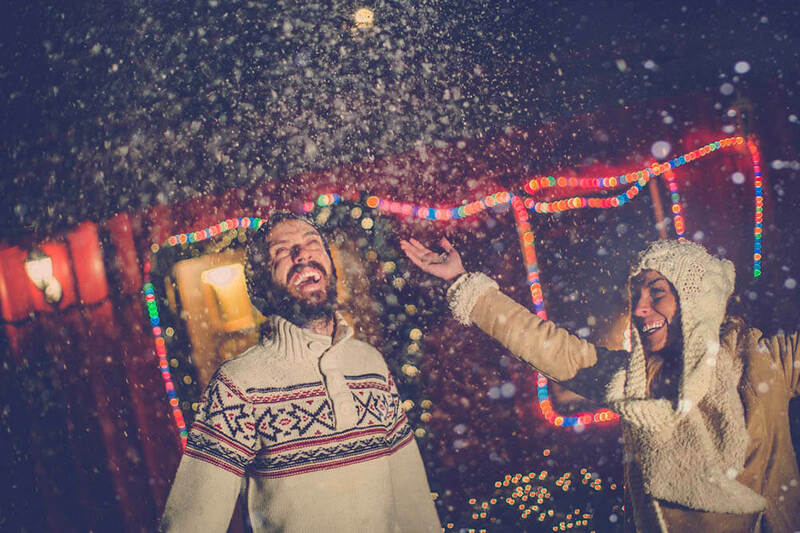 Exclusive to Lottoland, on December 31st we're giving you the chance to bank €100 million this New Years Eve. With jackpot odds of just 1 in 50,063,860, it's almost three times easier to win than EuroMillions (which has jackpot odds of 1 in 139,838,160) and a jackpot that is twice as big! Big news from Down Under also, as the annual Saturday Lotto Megadraw will also be held on Saturday the 31st. Each year the jackpot is raised to $30 million Aussie dollars, that's currently €21.15 million at today's exchange rates - so a nice juicy jackpot to start the new year off with, I'm sure you'll agree. 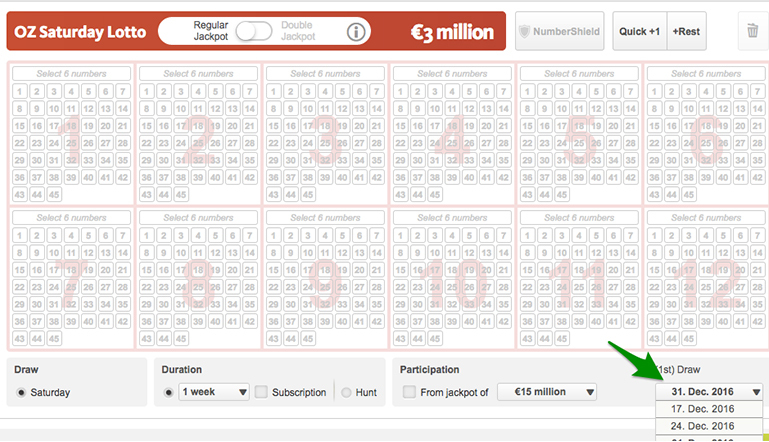 But here's the best bit - it only cost €1 to enter and, as a 6/45 game, the odds are just over 8 million to one, and if that sounds familiar it's because that's what the Lotto's odds were before the numbers were increased last year. Ok so that's still not easy, but much easier than most lotteries, especially for a jackpot of that magnitude and for just one euro on New Years Eve you can't go wrong! Just be sure when you play to click on the draw date dropdown menu (see image above) and select the 31st December Megadraw instead of the next regular draw. Which Lotto Is Right For Me? * Minimum cost per game - don't forget with both El Gordo and El Niño you can choose different shares. The bigger the share you buy, the bigger the amount of prize money you win! We comb the world for the very best lotto jackpots, giving you a whole world of choice, and this Christmas is no exception! 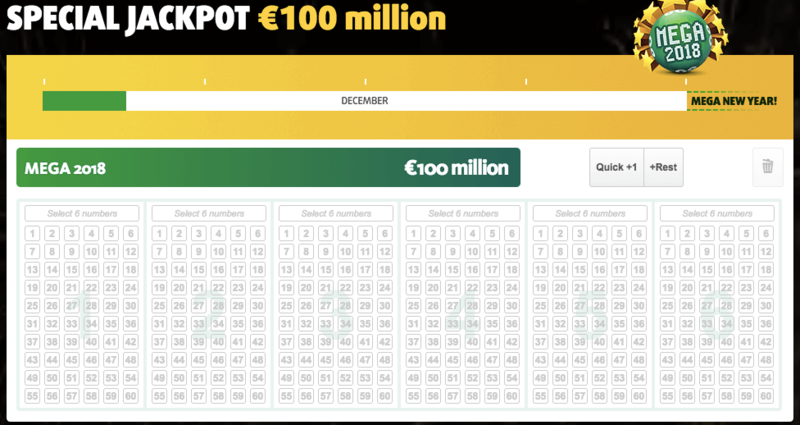 Whether you want to take home your share of the €2.3 billion El Gordo jackpot, a chunk of the El Niño prize pool, or bank the incredible €100 million Mega 2018 jackpot, you can try your luck right here at Lottoland.